Helen Ruth Gee was born to the parentage of Howard R. Gee, Sr. and Iceola Tucker Adams on March 12, 1948 in Dallas, Texas. Helen received her formal education in the Dallas Independent School District. She was a graduate of the Lincoln High School Mighty Tiger Class of 1967. After which, she started her career at Dallas Medical City, from which she retired. She accepted Christ at an early age, at Cedar Crest Methodist Church. She later united with Friendship West Baptist Church where she was a faithful member of the Hospitality Committee for several years. On October 5, 1968 she wedded in matrimony to Reveon Paul Phillips. To this blessed union, two beautiful daughters were born; which they both loved so dearly. Heavenly, Exquisite, Loving, Endearing, Nice, Respected, Unwavering, Trustworthy and Hospitable are just a few adjectives that describe Helen Ruth. She was a ray of sunshine; whose favorite colors (by God’s design) happened to be yellow and orange. She enjoyed shopping. She was an avid fashionista and interior designer! Helen absolutely loved her family, spending quality time and cooking delicious, comfort foods for their enjoyment. She is preceded in death by her husband, Reveon Paul Phillips; her parents, Iceola Tucker Adams and Howard Robert Gee, Sr.; her brother Howard Robert Gee, Jr.; and Shawnta’s special baby boy, Ayden. Helen was a selfless, compassionate, God-fearing, and devoted wife, mother, and grandmother. 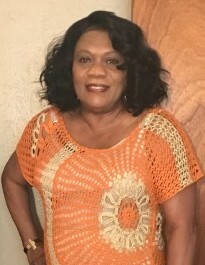 She leaves to cherish her memories: her children, LaRonda Crayton (Anthony, Sr.) and Shawnta Phillips; two grandchildren, Monet and Anthony, Jr.; and a host of cousins, sisters and brothers-by–law, nieces, nephews, relatives and friends, that all loved and cherished her so very much.